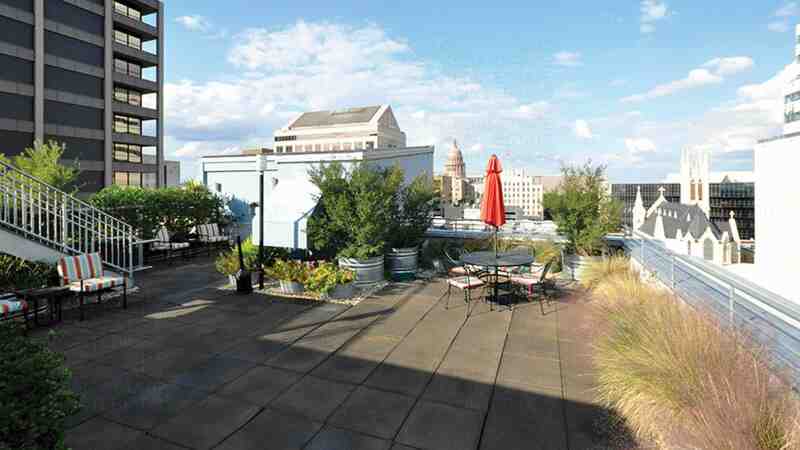 Converted warehouse lofts located in the heart of historic downtown Austin. Originally built in 1948 as the Commodore Perry Hotel, turn office building called One Commodore Plaza in 1984. Then in 2008 finally ending its many transformations, Brazos Place was completed, boasting 72 residential units with spectacular views. The floor plans at Brazos Place range from 622 to 2,745 square foot. Although not true lofts the units still feature exposed ductwork, and concrete floors. Amenities include a 24 hour state-of-the-art fitness center, 24/7 Concierge, rooftop terrace, and covered parking. Located at the edge of the Red River / 6th Street Entertainment district. To learn more about Brazos Place, and our current availability, please register and indicate your unit and floor plan preference below. We have units available for both resale and lease. Questions? Email us at contactus@urbanspacerealtors.com.